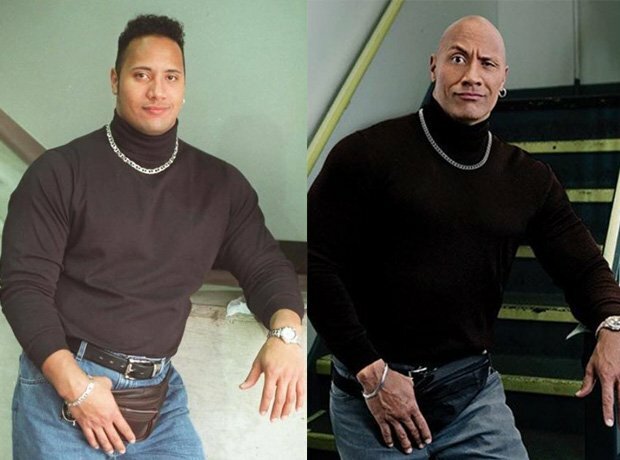 The Rock recreated his famous viral "fanny pack" picture. 3. The Rock recreated his famous viral "fanny pack" picture. The Rock aka Dwayne Johnson showed his evolution in a hilarious side-by-side photo, bringing back his 90s "turtle-neck and chain" look.